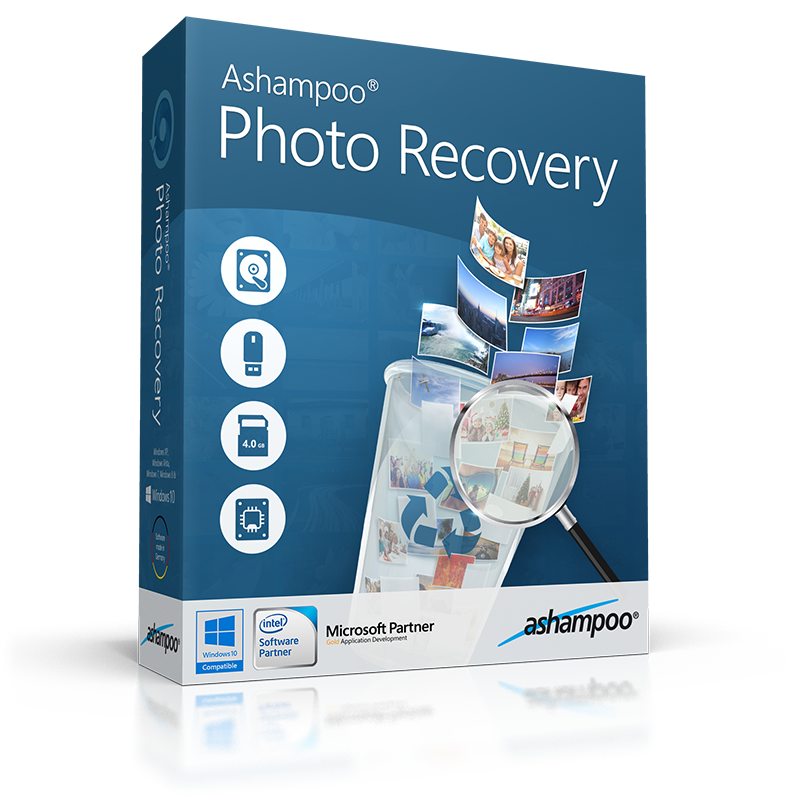 If like me you take lots of photos and they hold lots of good memories, losing or deleting them would be a disaster but help is at hand with Ashampoo’s Photo Recovery software for Microsoft Windows. 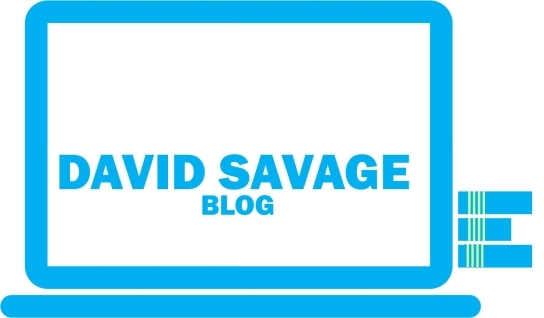 With everybody these days owning mobile phones, tablets and digital cameras we take more and more pictures with our devices and have instant results to share and display (no more sending off films for developing). But what happens if you accidentally delete your favourite photos (and they are not in your recycle bin)? You do not have the negatives as with a film camera to get reprints? 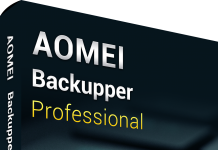 While I would always advise making regular backups of all your important files and photos, there will be times when you forget and the worst happens and you delete your photos by accident or maybe the memory card or digital file becomes corrupted, but with Ashampoo’s Photo Recovery software if the worst happens you are a few clicks away from recovering all your favourite images. Download and installation of the software from Ashampoo’s website is very simple and only takes a few minutes. 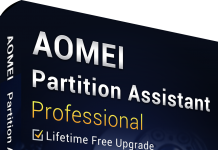 It will run on any PC running Windows® 7, Windows® 8, Windows® 8.1 and Windows® 10. Now for my first run I decided to scan my whole hard drive of 500GB for all common image files (JPG, PNG, TIF, GIF and PDF). As I was scanning a large data area it did take a couple of hours for the scan to be completed (I continued to work while it worked away in the background). 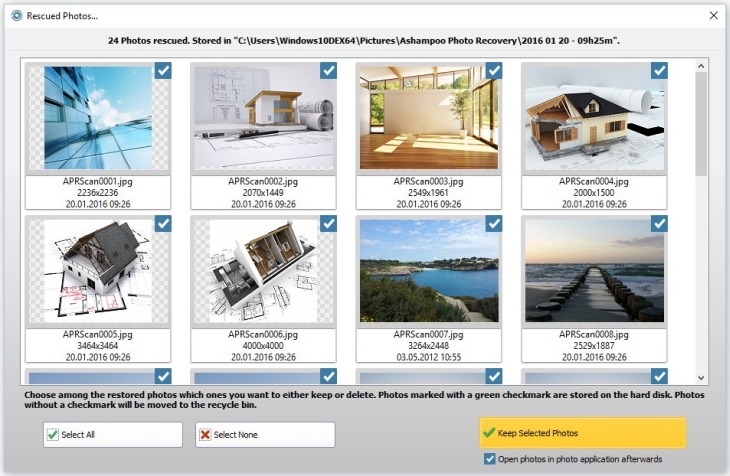 There are several options you can use for scanning; ignore files smaller than size you select, ignore files that are smaller than the width and height you select, ignore files larger than the size your select and what types of image files to search for (Common Photo types such as JPG, BMP, PNG etc., RAW files, Modern Photo types such as JPEG2000, WEBP and JXR, and Rare graphics files such as TGA, PCX, PSD etc. ).After the scanning had completed it had found hundreds of images of which you can select all, select none or manually select/deselect only the images that you want to recover (anything you leave unchecked will be moved to the recycle bin) and then click the Keep Selected Photos button and the selected images will be saved to your hard disk ready for use (by default they will also open in your default photo application, i.e. Photo Commander 14, unless you uncheck the box. It recovered all the images from my hard drive I selected without any problems. I then tried again by taking the memory card out of my phone and putting into my laptop and again recovered lots of deleted images without any problems. 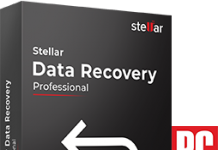 If can also recover corrupted images and from damaged memory cards (although I couldn’t try this as I had no corrupted files or damaged memory cards). My favourite option though has to be that I can run the software and pull out images from PDF and EXE files as well as Word documents, all you have to do is press the File option, choose a file you want to extract images from and click the Search Photos button and depending on the size of the file and how many images it contains within a few seconds you can select to save a selection of the images found (or all of them if required). If can even capture individual frames from animated images. Now for my only small criticism; if I was asked what I would like to see improved within the program first would be speed as scanning larger hard drives is very time consuming (but this also depends on the speed of your PC, memory and hard drive etc…). Second would be I would like to see a third scan option; you can scan an entire device or a file but I would like to be able just to scan a folder rather than a whole hard drive, this would speed up searching for deleted images if you had deleted an image from the My Pictures folder, for example. 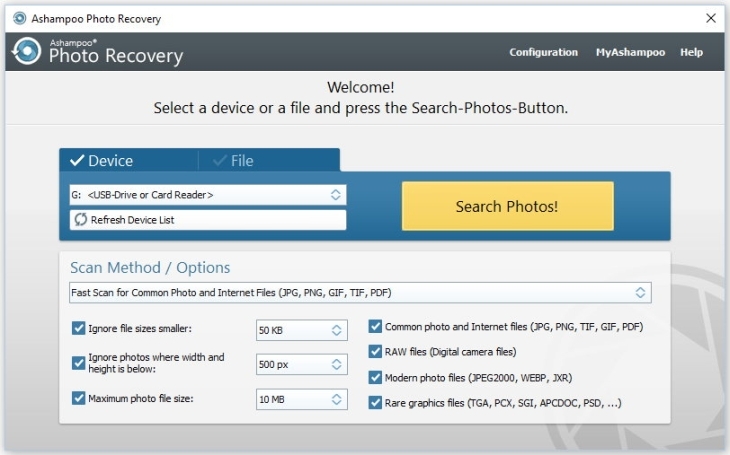 Overall, Photo Recovery is a great utility should the inevitable happen and you lose those precious photos and the extracting of photos from files is something I will be using all the time. I would have to rate it 4½ out of 5 but if a folder scan option was added it would be 5 out of 5. If you would like to see for yourself how it works you can download a 40 day trial version (10 days + 30 days after email registration) from Ashampoo here. – Over 20 different RAW formats supported! For more information or to buy visit Ashampoo here. 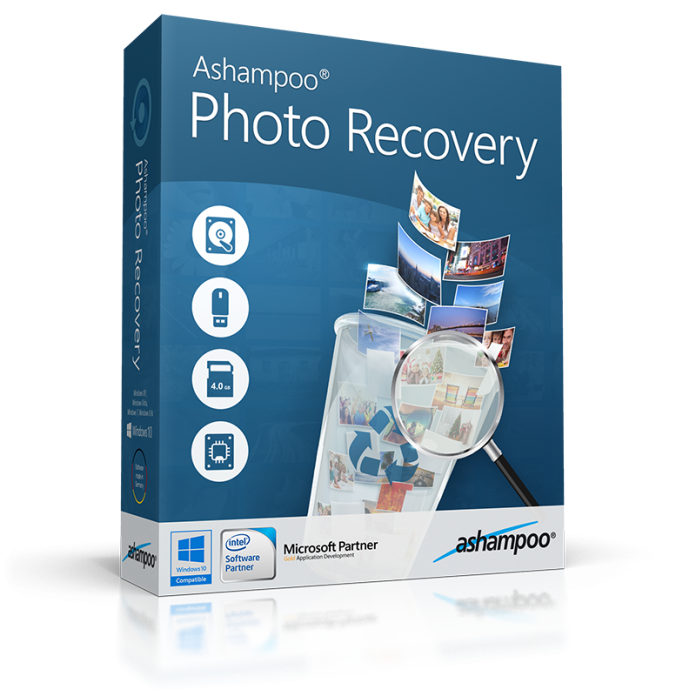 I have 10 full versions of Ashampoo Photo Recovery to won! For your chance to enter visit my competition page here (competition ends 30/04/2016). DISCLOSURE: I was provided with a free version of this software for the purposes of writing an honest and impartial review.